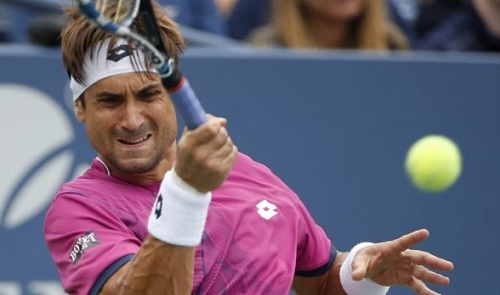 David Ferrer, 34, recently addressed his lack of a grand slam title. Having had an astonishing career on the court so far, the talented sportsman hinted that the main reason he has not won any grand slam title was simply because he doesn’t “deserve” it. In a recent interview, the player was quoted to have said: “I don’t have a grand slam because I don’t deserve one. Despite not having the much coveted title the player does not believe his career will be less impressive if he fails to attain the grand slam in his forthcoming years. This comes as no surprise as ferrer has had a really outstanding career and boasts of victories in several games. He possesses a staggering 685 singles wins, ranks 13 in the all-time victory list, and yet throughout his successful 16-year career the grand slam title still proves elusive. In the history of the game, not very many players surpasses David Ferrer in the number of single games won. In fact, only three active players; Roger Federer with 742 wins, Rafael Nadal with 804 wins and Novak Djokovic with 1080, have won more singles than the tennis star. The closest that the talented sports man has come to bagging a major event was in 2013 when he reached the French open final but lost that showdown to a ferocious Rafael Nadal, a fellow Davis cup teammate. When asked if he envisions himself breaking out of that jinx anytime soon, the brutally honest player says it will be a difficult task and even more startling is when he adds that he doesn’t deserve it.